Taken from over 17 years of tapings, the popular Country's Family Reunion television series, airing nationally on RFD-TV, celebrates the lives and legacies of country music greats in their all-new "Tribute" series. Through their own songs and stories from the legendary artists' various appearances on the show, Country's Family Reunion brings a can't-miss series and soon-to-be-released DVD box set of episodes that can be purchased and cherished as historical timepieces. This Friday, September 25, tune in for the anticipated premiere episode honoring the late Jim Ed Brown. For four decades, Jim Ed Brown left an indelible mark on country music. During a seven-year run, his group, The Browns, charted numerous times, including the mega-hit “The Three Bells,” which hit No. 1 on the Billboard Hot 100 Pop and Country charts, No. 10 on Billboard's Rhythm and Blues chart, and was featured in the final season of The Sopranos (2007). The Arkansas native enjoyed his first solo hit in 1965 and his signature song, “Pop A Top,” ruled the charts two years later. 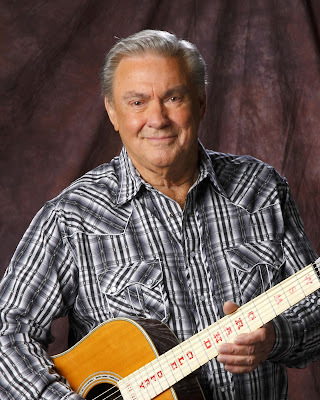 He and Helen Cornelius won CMA honors in 1976 for Duo of the Year, and the two enjoyed a string of hits throughout the ‘70s and ‘80s that included “I Don't Want To Have To Marry You” and "Saying Hello, Saying I Love You, Saying Goodbye." Brown has hosted four network television shows and a radio program, and served as a spokesperson for Dollar General Corporation and Arkansas Children’s Hospital. Though he passed away on June 11, 2015, music will forever be impacted by his down-to-earth brand of family entertainment. Jim Ed and The Browns will both be formally inducted into the Country Music Hall of Fame on October 25. Air times for Country's Family Reunion are Fridays at 8 p.m. EDT, Saturdays and Sundays at 12 a.m. EDT. For more information on the Country's Family Reunion "Tribute" series or to check when you'll be able to purchase your own personal copies of any of the new episodes, please visit www.cfrvideos.com.